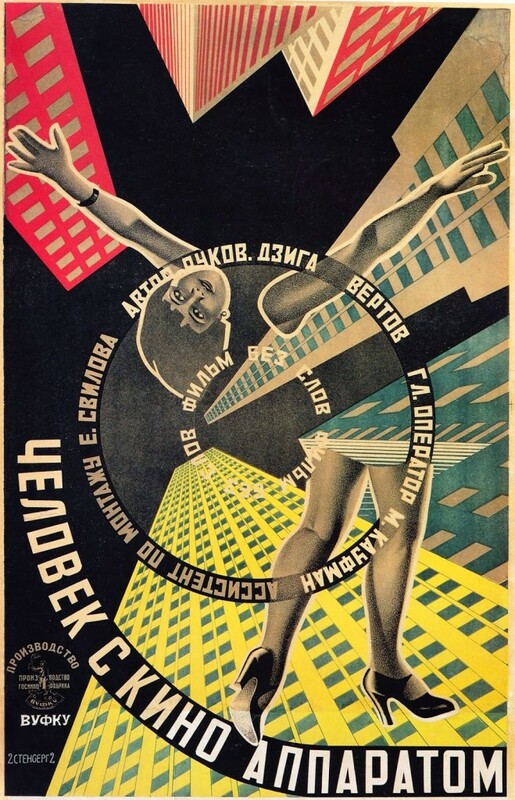 SUMMARY: A celebration of modernism as seen through the eyes of a 1929 Soviet Silent Filmmaker. DETAILS: Man with a Movie Camera is the most magical display of early filmmaking and avant-garde editing I have ever seen. A Russian film made in 1929 by Dziga Vertov, this silent picture celebrates machinery, industry, ingenuity, and beauty in ways no other film ever has. From weddings and divorces to funerals and childbirth we see the juxtaposition of emotion and imagery. It is certainly the earliest film about the art of filmmaking that I’ve seen and perhaps the first one ever made. It showcases the work and creativity of the Camera Man throughout the picture, even making him superhuman in a god-like scene where he looms like a giant above the city and the populace. There is also a special section featuring the film editor and her critically creative work. Man with a Movie Camera is edited amazingly well, with quick cuts, fast pacing, a beautiful images. Director Dziga Vertov was lightyears ahead of his time. I highly recommend this film to anyone who loves movies and especially to any student of film or any filmmaker. You won’t be disappointed.